A proper southern girl is always concerned about keeping up appearances --- and you are sure to make a grand impression in a traditional Southern Belle costume. Down at the plantation, you’ll be the prettiest miss in a billowing, beautiful gown fashioned in the most lady-like style. Hold court on your front porch with a pitcher of fresh lemonade and fan yourself in case your delicate sensibilities are feeling faint. A perfect choice for a school play or Ole South Dixie Land party. 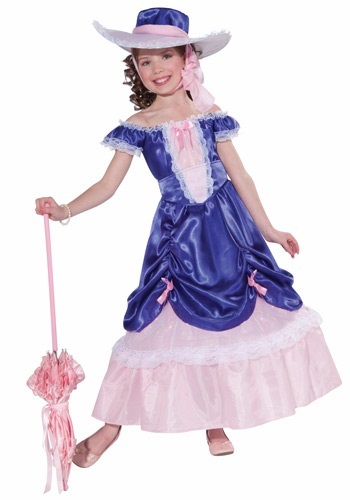 A Southern Belle costume is designed as virtuous long gown in a tiered design, so common of the turn of the nineteenth century. Available in several colors, the meringue-like skirt are trimmed in contrast ribbon and are kept in their “puffy” state by a wire hoop underneath. Add a floppy yet feminine “picture frame” hat to shield your delicate skin from the sun. 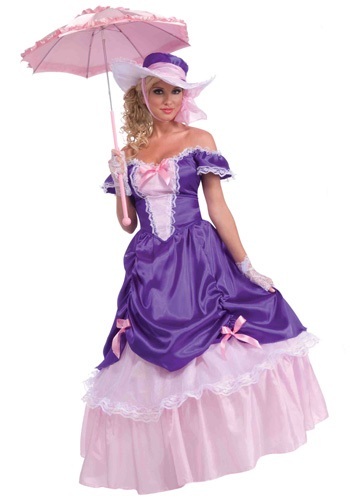 Southern Belle costumes will seem so perfectly proper when you slip on a pair of lady-like gloves and carry a folding fan or embroidered handkerchief. 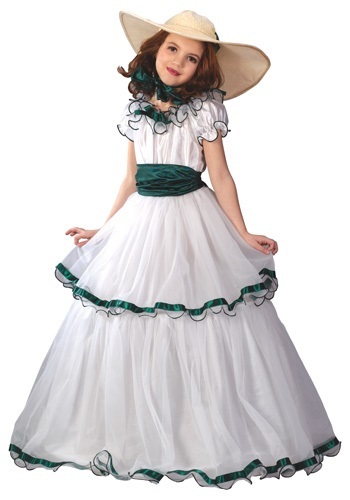 For an old-school Southern Belle costume for couples, have your chivalrous date dress up in a Confederate Rebel uniform.